Star Polska Transport Międzynarodowy Sp. z o.o. is a company combining many years of experience with high qualifications which enable us to provide the highest level of services. We have been operating in the transportation sector continuously since 1999. 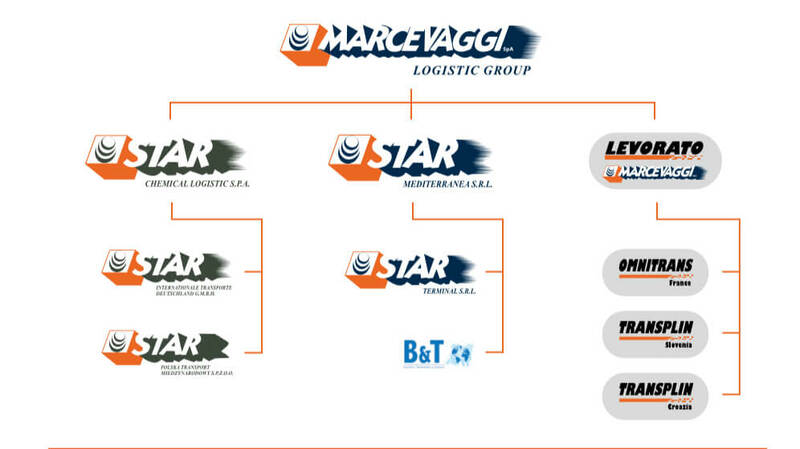 Working as part of the Marcevaggi Group, we constantly strive to maximize the effects of this synergy. We work together on new transportation and shipping solutions to provide ever greater benefits for our clients and business partners. We specialize in international road and intermodal transport of liquid chemical and petrochemical products. We offer transportation services for both conventional and hazardous materials in accordance with the ADR Convention. Over our many years of operation on the market, we have earned the trust of many well-known companies in Poland and abroad. We are constantly expanding our range of services in the road and intermodal transportation sector, which allows us to meet the expectation of all of our clients. On-time delivery and the safety of the goods we transport are always our priority, which is why we execute every commission individually, in accordance with the expectations of our clients. Please have a look at the services we offer!